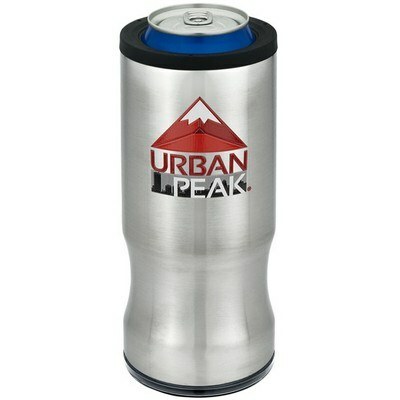 The imprinted 16 oz. 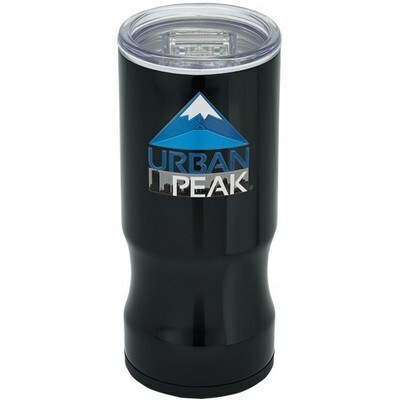 Urban Peak 2-in-1 Pounder spills over with advertising potential! 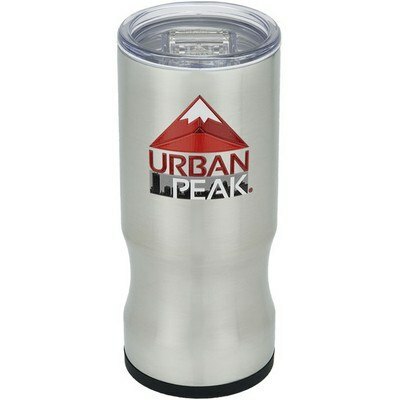 The dual function 16 oz can cooler and tumbler features stainless steel double walled construction. It offers optimum taste and heat retention owing to the copper lined, vacuum insulated deep draw liner. 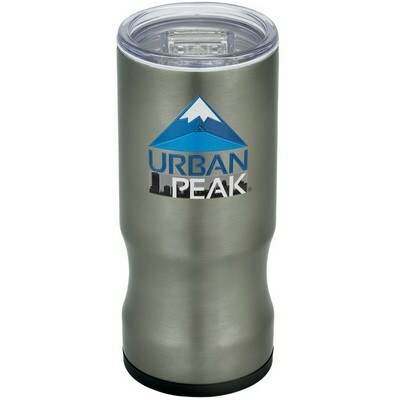 Not only is it a travel tumbler but also doubles as a can cooler. 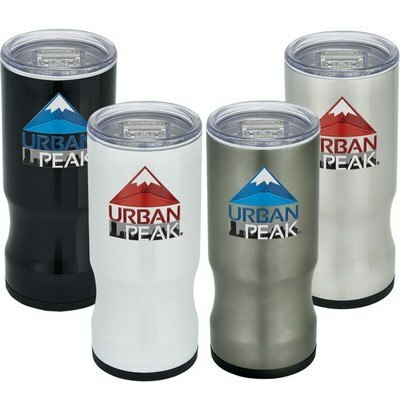 Just screw on the rubberized ring included and slip on any canned drink can for long hours of insulation. It holds 16 oz. tumbler and tall boy cans. 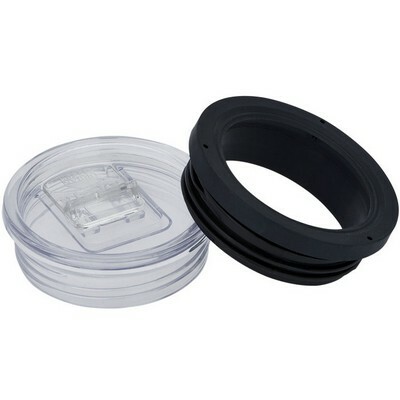 Special slide-close lid ensures prevention of spillage and maintains temperature. 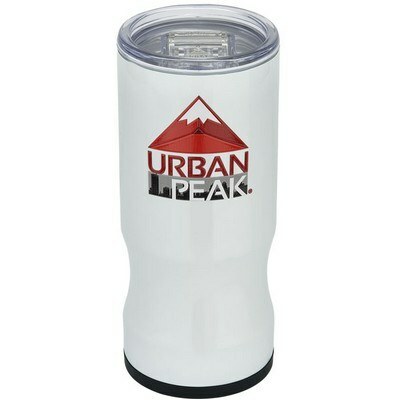 Select the color that suits your brand imprint the best and customize this pounder for your upcoming promotional event!